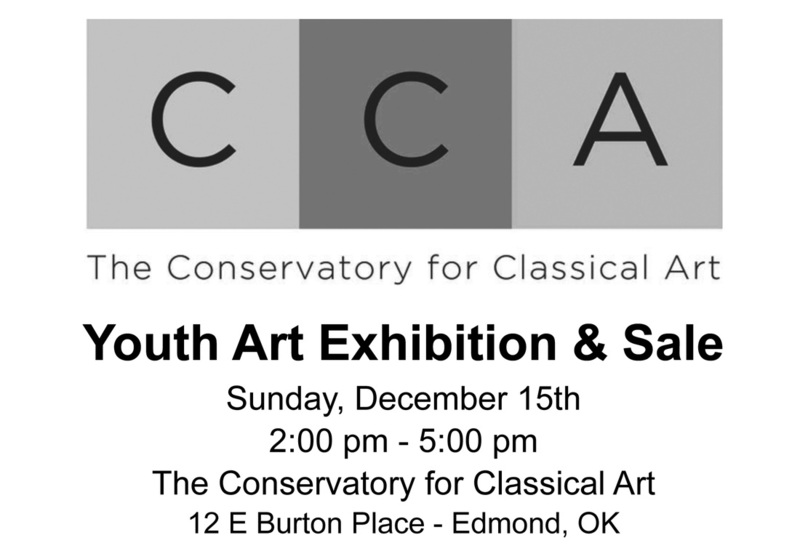 The Conservatory for Classical Art is pleased to announce the first annual exhibition of youth art featuring students in our youth classes and Youth Atelier. Current and past students under the age of 19 are invited to display their masterpieces in our gallery. Students are also invited to sell their original pieces and/or prints of their work. 100% of proceeds from sales will be retained by the student. Exhibit space is limited. Reserve your place by Friday, November 22nd. Contact CCA for an Exhibiting Artist Reservation Packet. Exhibition & Sale is free and open to the public.